A handcrafted aperitif offering a nice declension of aromas, with a great sweetness in the mouth. 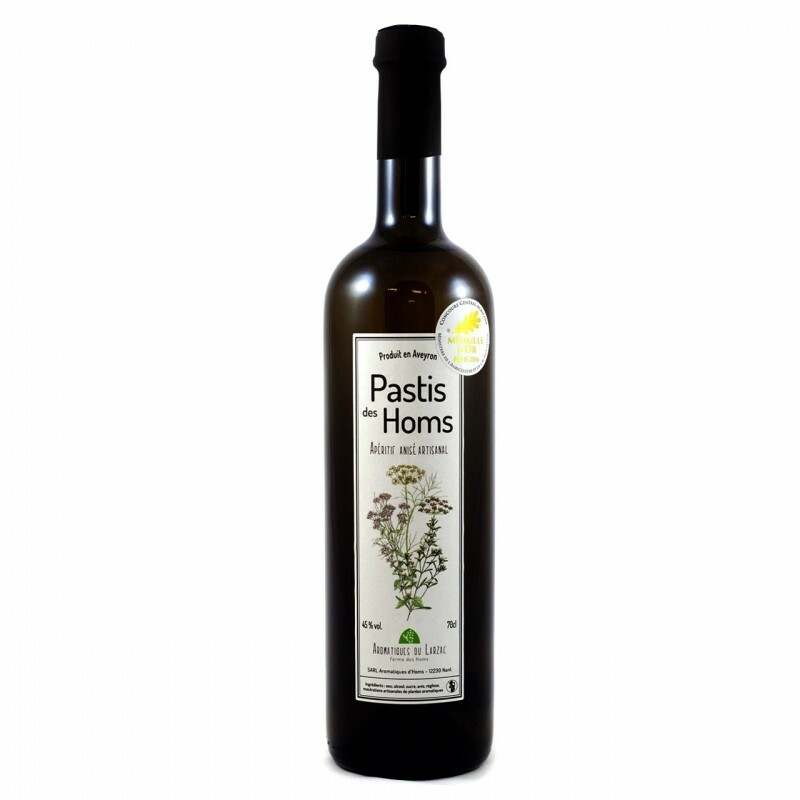 With the traditional anise and liquorice aromas, we have brought different hints of plants which grow on the Larzac (thyme, rosemary, oregano, fennel, ...) to the total of about fifteen aromatic plants. With no colorant at all, our pastis has kept its white colour and you experience the pleasure to have in the mouth, a beautiful declension of its aromas. Composition : Water, alcohol, sugar, anise 0.2 %, natural aromatic substances. Alcohol abuse is dangerous for your health, consume in moderation. Alcohol can only be ordered by and delivered to those aged 18 or over and must not be purchased for onward supply to persons under 18.